Should I Retire in a Resort? Where Can I Find Resort-Style Retirement Villages? A resort style retirement has it all ... convenience, style, exquisite grounds and lavish settings. 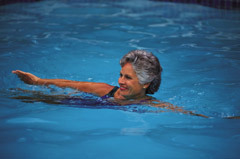 Resort style living encompasses facilities that keep you feeling young and active. You might enjoy shopping, getting your hair done, or dining out with friends at your favourite restaurant. You can always take up water exercise classes, or just soak up the atmosphere in your beautiful courtyard enjoying the surrounds of resort style living.